Reverse logistics - “the forgotten child of the Supply Chain” is gaining prominence in the market today. Previously, the organizations were not making use of reverse logistics. But today, reverse logistics is a key tool for value addition and growth strategy. With increasing customer awareness, it is not only important to deliver the goods to them but also to make sure that a return channel also exists. Thus, reverse logistics helps an organization in not only getting the goods back but also for repairs and redistribution. 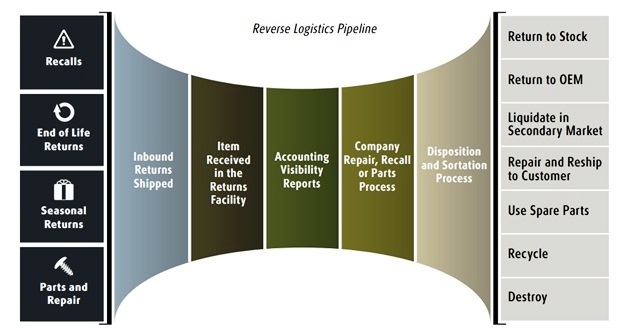 Reverse logistics is defined by the council of management as “The process of planning, implementing, and controlling the efficient, cost effective flow of raw materials, in-process inventory, finished goods and related information from the point of consumption to the point of origin for the purpose of recapturing value or proper disposal.”. In short the travel back from the customers end to the manufacturer is called as the reverse logistics- an invert of logistics. Reverse logistics includes return policy, product recall, repairs, repackaging, recycling, parts management, liquidation, disposition management and many more. It plays a very crucial role in the field of retail it helps in building brand loyalty and better customer experience. At the time when the retail industry is facing losses to the tune of $40 billion due to sales returns, having reverse logistics can help build the profits as high as 15% with care. In addition to it (this) the reverse logistics also protects profits, gives customer loyalty, disposal benefits and maximize recovery rates. Reverse logistics was practiced as early as 1894 by Montgomery ward. They initiated the practice which is now a known as an important driver for reverse logistics operations. They were the first retailer to offer their customers with a 100% guarantee and promised a complete refund if the customers were not satisfied with their product. The industry practices made by the companies vary from allowing the customer to return to company themselves arranging for the return from the customer. We will further understand different practices adopted by various organizations in managing its return of sold product back from the customer. E-commerce giant Amazon adopts a return policy for customers with pre-printed labels. The labels are sent to the customer along with the product. This makes it easy for the customers to just attach it to the package and send the product back to them in a package with almost no cost for it. The primary use of reverse logistics channel by IKEA is for customer return of product for service reasons. This can be due to quality reasons back to the vendors. To handle this, IKEA has set the rule to make the delivery on time without any damages. This is because of the fact that most of the return happens because of damage to the product or the customer has changed his decision on purchase. This information is captured by them by studying the return pattern. The product returned from the customer is also evaluated so as to take the correct route to liquidate it. The returned product is either taken to sales or sold at a reduced price or is scrapped based on the evaluation on the product. As a well known brand in the market, a huge expectation is placed on the brand of Walmart. In order to meet the expectation, Walmart has to maintain the best standards. 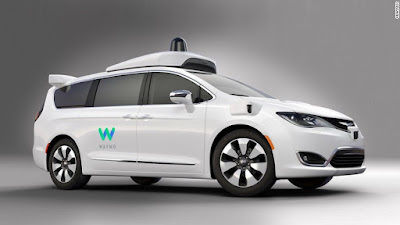 Though the collection return process of Walmart is a normal return by the customer, Walmart then schedules a meeting with its vendors to the process of what has happened to the product delivered to what it was planned by them to deliver on the product which was returned by the customer. This assessment helps them know the gap in the customer expectation and the service of the particular product sale. This information is made available by consistent monitoring of goods on a day to day basis. With this information, the vendor can improve its business service to the customers and sell his product to a satisfied customer. This as a whole helps them achieve reduced return rate from the customers. The customer service staff at the floor makes the first interaction with the customer and identifies the reason for the return. A faulty merchandise sticker is struck on the product and moved to the claims area. The organization also has transportation facility to collect it from the customer and brings it to its claims area. It makes a check on the returned goods, sorts the goods based on their condition, which are then repacked and dispatched accordingly to the supplier. The process for returning the goods begins with an online registration by the customer. The company checks for warranty period and then ships a box to return the product back to one of its centers via express parcel service. The box has clear instructions for the customer to follow for returning the product. This process adopted by apple is very simple and could cover up for unnecessary support phone calls. With the global practices in the field of reverse chain growing it is clear of the impact in the bottom-line due to the reverse chain. In addition to bringing in profits, the reverse chain also helps the company to garner the customer’s goodwill and satisfaction and also makes them more sustainable for the future growth. The conversion of these practices into organization is the real challenge for the businesses. Thus the best practices adopted globally helps the organization to get profit margins through revenue growth, cost control, being sustainable and controlling the change. Today’s executive must have in their mind to “Think forward and Act reverse” as the mantra. I have read the article "not all best practices are best". Other people saying that practice makes perfect and if we gonna have our own strategies in our business, I think we will really have a successful business through our best practices. Very informative post. Well expalined.